B&W Z2 and Zeppelin Air wireless AirPlay speaker docks with Lightning connector | What Hi-Fi? 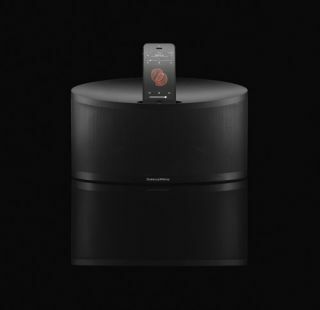 Bowers & Wilkins today revealed two new additions to its Wireless Music Systems line-up: the Z2 and the Zeppelin Air. The two wireless iPhone speaker docks both feature Apple's AirPlay wireless streaming technology and are fitted with a Lightning connector dock. With the Z2 speaker dock, B&W aims to offer 'the best of all worlds', with the Lightning connector dock making it compatible with the iPhone 5, and all new versions of the iPod Touch and iPod Nano. Its AirPlay functionality allows wireless streaming from older Apple devices, all iPads, and from a Mac or PC running iTunes. The Z2 will be available in two finishes - black and white - and comes with a small oval remote control to match. The Z2 (in black) will be available from from April for £329.99, while the white version will be available from June for the same price. Building on its successes and offering more compatibility, the Zeppelin Air has been updated with the new Lightning connector for iPhone 5 users, and for the new models of iPods and iPads. FInished in its trademark black cloth, it will be available from May for £499.99. The existing B&W Zeppelin Air with the old 30-pin connector is also still available at the same price.